When a visitor first come to the classifieds home page, he/she need to select the region and city to display all items in the city. Here Select the state and city and can see all the listing in the city. The home page of the XYZ Classifieds Ultimate contains different sections. 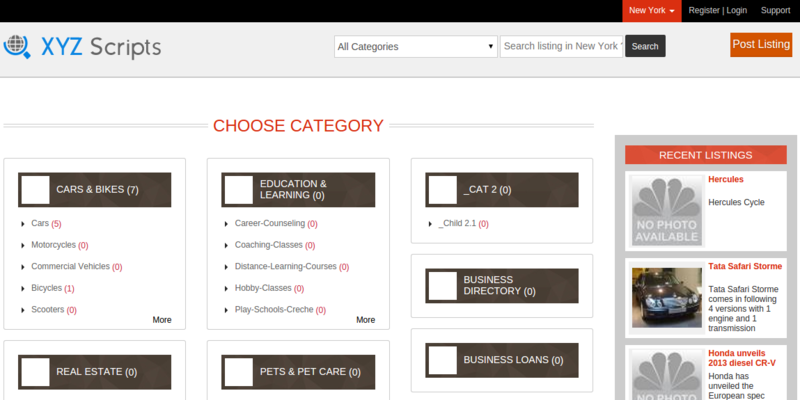 When an user click on any of the category, it will display all items in the category in the city.